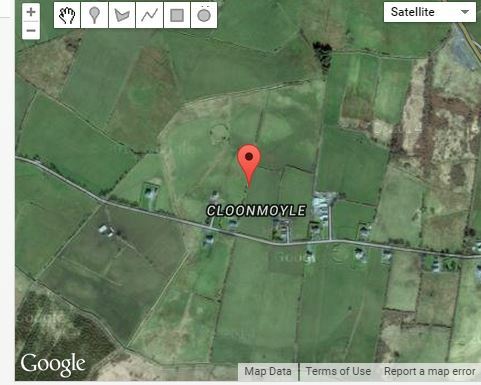 There are 3 ringforts and a souterrain in Clooomoyle. The first ringfort is situated on a rise in undulating grassland. It is a subcircular rath which is in relatively good condition, defined by a bank and external fosse. The second ringfort is located on a rise in undulating grassland. 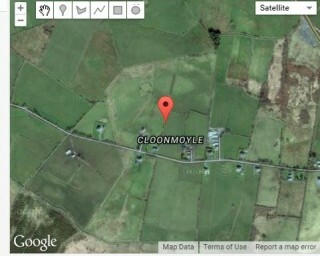 It is a poorly preserved conjoined ringfort. A souterrain lies within the interior. The third ringfort is situated on the south west slopes of a low hill in rolling grassland overlooks boggy terrain to the south west. It is poorly preserved defined by two banks and an intervening fosse. A road cuts through it and is bisected by a field wall. The souterrain is which consists of 2 chambers is located within the south enclosure of a conjoined ringfort.